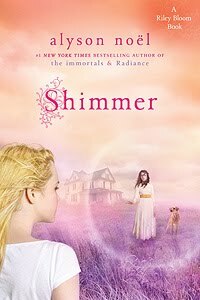 Alyson Noël, author of the Immortals series, continues her new series about Ever's younger sister, Riley. Having solved the matter of the Radiant Boy, Riley, Buttercup, and Bodhi are enjoying a well-deserved vacation. When Riley comes across a vicious black dog, against Bodhi's advice, she decides to cross him over. While following the dog, she runs into a young ghost named Rebecca. Despite Rebecca's sweet appearance, Riley soon learns she's not at all what she seems. As the daughter of a former plantation owner, she is furious about being murdered during a slave revolt in 1733. Mired in her own anger, Rebecca is lashing out by keeping the ghosts who died along with her trapped in their worst memories. Can Riley help Rebecca forgive and forget without losing herself to her own nightmarish memories? "30 Great Books That Teach Children to Be Green"